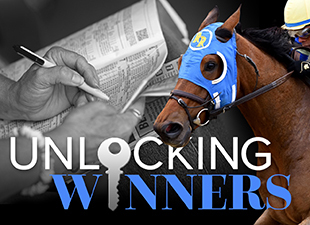 With the Breeders’ Cup pre-entries having been released yesterday morning, we can now begin the much-anticipated task of analyzing each race and formulating our opinions on who will win. There’s plenty to discuss, so I won’t waste time—without further ado, let’s get started! There are plenty of horses to choose from in this race, which drew a massive 27 pre-entries—wow! Aidan O’Brien’s unbeaten Hit It A Bomb is drawing most of the attention, but he is joined from Europe by Birchwood, Cymric, and Shogun, all of which have run well in group I company. Cymric is particularly intriguing thanks to his American pedigree, and he's been very consistent in his last four starts, including a neck defeat in the Prix Jean-Luc Lagardere (Fr-I) at Longchamp. Among the North American runners, Bourbon Stakes (gr. III) winner Airoforce and Pilgrim Stakes (gr. III) winner Isotherm both deserve respect, but don’t underestimate Mark Casse’s Conquest Daddyo, who was impressive in the Summer Stakes (gr. II) at Woodbine and could be well-suited to the course at Keeneland. Liam’s Map will be heavily favored and, barring something unexpected, should be right on or near the lead early on. I think he has enough speed to run the other front-runners/pace-pressers off their feet, so I’m going to be looking for closers to round out the exotics and possibly win the race if Liam’s Map tires from a pace duel. My first choice is Red Vine, who has good tactical speed coupled with the ability to rate off the lead and finish strongly. A rough start compromised his chances in the Kelso Handicap (gr. II), in which Appealing Tale got an easy lead, but a different pace setup—coupled with a return to a two-turn mile—should help Red Vine turn the tables on Appealing Tale. I also respect last year’s Dirt Mile runner-up Tapiture, who returned to form with a sharp win at Ack Ack Handicap (gr. III) at Churchill last time out. He’s been training very well at Keeneland and could have a big chance to hit the board yet again. Wicked Strong, cutting back in distance from a series of longer races, could potentially relish the two-turn mile and be a big factor from off the pace. The surprise entry of Richard Hannon’s Illuminate, runner-up in the Cheveley Park Stakes (Eng-I), could change the complexion of the wagering since her talent and reputation should make her one of the favorites. However, she’s never run farther than six furlongs and has run exclusively on straight courses, which could be a concern given the tight turns and longer distance of the Juvenile Fillies Turf. Illuminate’s form reminds me a great deal of Vorda, a group I-winning filly with no experience on turns that finished seventh in the 2013 Juvenile Fillies Turf. A better choice might be Aidan O’Brien’s Alice Springs, who is thoroughly proven at seven furlongs on tricky courses and has run well in group I company. But I think the North American hopefuls have a great chance to win this race, particularly Natalma Stakes (gr. II) winner Catch a Glimpse, who has excellent tactical speed (a surprisingly good asset in these juvenile turf races) coupled with the ability to accelerate strongly over a deep turf course. Harmonize, late-running winner of the Jessamine Stakes (gr. III) at Keeneland, is another that warrants respect, although she did get a good pace setup in the Jessamine. Wedding Toast might have a slight edge over her rivals, but this race looks wide-open on paper and you can make a case for pretty much every horse in the race. Two longshots that I really like are Yahilwa, who showed a lot of fight despite a slightly tricky trip in the Spinster Stakes (gr. I), and Curalina, who had no chance at catching Wedding Toast in the Beldame after the latter got a very easy lead. Both have been training well at Keeneland, especially Yahilwa, and Curalina could potentially thrive with a strong pace to set up her late run. I also wouldn’t count out defending Distaff winner Untapable, who has never finished worse than third this year while competing exclusively in graded stakes company. If she can settle a little further off the lead than she has been recently, I think she has a strong chance to defend her Distaff title. After going unbeaten in three starts, including the Del Mar Debutante (gr. I) and Chandelier Stakes (gr. I), Songbird looks like an outstanding and imposing favorite in the Juvenile Fillies, and I think she’s perhaps the most likely winner of the entire Breeders’ Cup, albeit at a short price. Rachel’s Valentina deserves a lot of respect as well after scoring a solid win in the Spinaway Stakes (gr. I), but she will be making her two-turn debut off a layoff, as will Spinaway runner-up Tap to It. For second place, I think Land Over Sea—runner-up to Songbird in the Chandelier—might have a big chance at a decent price. The field is still very much in flux after drawing an overflow group of 19 horses, and finding the winner could be a tricky task. That said, I really like the chances of 2014 winner Bobby’s Kitten, who lost all chance in his two races this year while being rank on both occasions. The fast pace of the Turf Sprint will hopefully force him to use his speed just to keep up, which should help him get into a rhythm and relax before rallying in the homestretch. Pure Sensation, who is 3-for-3 sprinting on turf, is another that warrants respect. He showed terrific speed and a lot of determination to win the Turf Monster Handicap (gr. III) at Parx by a nose, and probably has as much early speed as any horse in the race. Undrafted will likely draw a lot of play off his win in the Diamond Jubilee Stakes (Eng-I) at Royal Ascot two starts back, but he missed his prep race for the Turf Sprint and is probably better at slightly longer distances than 5 ½ furlongs. The three-year-old Cavorting might be favored, but a three-year-old has never won the Filly & Mare Sprint, and while Cavorting’s last three races have been very sharp, I’m not sure that she’s been facing the toughest competition. Defending Filly & Mare Sprint winner Judy the Beauty isn’t as consistent on dirt as on synthetic and is 0-for-3 this year, but ran well on a slow rail in the Thoroughbred Club of America Stakes (gr. II) and could rebound on a fairer track in the Breeders’ Cup. La Verdad is another that deserves respect, but seven furlongs is a bit beyond her best distance, and she might not even run—she’s been cross-entered in the Sprint against males, and is also entered in a New York-bred stakes race this Saturday. Perhaps the most interesting longshot candidates are Wavell Avenue, who finished a late-running second in the Gallant Bloom Handicap (gr. II), and Taris, who got sucked into a blazing speed duel in the L.A. Woman Stakes (gr. III) before tiring to finish third. Last year, Taris won the seven-furlong Raven Run Strakes (gr. II) at Keeneland with a 110 Beyer, and if she rebounds to that form, she can win at solid odds. The European shippers, led by Matron Stakes (Eng-I) and Nassau Stakes (Eng-I) winner Legatissimo, should have a tremendous chance in this race. But you also have to respect Stephanie’s Kitten, who finished second in this race last year despite a wide trip. After some so-so efforts this summer, she’s slowly rounded back into form, and in a race that doesn’t appear to have a ton of speed, she’s a mare that could stay within striking range early on and still finish strongly, particularly if the course comes up wet. A really deep field has been entered in the Sprint, led by the speedy duo of Runhappy and Private Zone, who figure to engage in a battle for supremacy of the sprint division. But they aren’t the only talented front-runners in the race, and in the event that a pace meltdown ensues, look for Kobe’s Back, Wild Dude, Big Macher, and Salutos Amigos to put in big runs from off the pace. For a live longshot, be sure to consider Ivan Fallunovalot. He’s been under the radar racing at Remington Park, but he’s earned triple-digit Beyer speed figures in five of his last six races and it’s hard to find a truer six-furlong sprinter than this consistent gelding. He’s got excellent tactical speed coupled with the ability to rate off the lead, a combination that could allow him to avoid a speed duel while getting the jump on the deep closers. Prix Jacques Le Marois (Fr-I) winner Esoterique, 2014 Breeders’ Cup Mile (gr. I) winner Karakontie, Qatar Prix de la Foret (Fr-I) winner Make Believe, and Shadwell Joel Stakes (Eng-II) winner Time Test lead an extremely strong contingent from Europe, and their talent is so great that a 1-2-3 sweep of the Mile would not be a surprise. Shadwell Turf Mile (gr. I) winner Grand Arch and Woodbine Mile (gr. I) runner-up Lea are among the better U.S. runners, but the best might be the filly Tepin, who was spectacular while winning the First Lady Stakes (gr. I) at Keeneland in a faster time than Grand Arch ran while winning the Shadwell Turf Mile. If the course is wet for the Breeders’ Cup Mile, I think Tepin has a huge chance to win the race. Just about every good two-year-old colt or gelding that we’ve seen so far this year has been entered in this race, which should make it a true showdown for the division championship. With California’s Nyquist showing hints of distance limitations, and with Greenpointcrusader unproven around two turns, I’m most intrigued by the Brody’s Cause and Exaggerator, the 1-2 finishers in the Breeders’ Futurity (gr. I) at Keeneland. I also think Unbridled Outlaw deserves respect after a very troubled trip likely cost him victory in the Iroquois Stakes (gr. III), but he might be an underlay—his bad trip was so noticeable that many are viewing him as a very live longshot. Golden Horn has been spectacular in Europe this year and figures to be a very heavy favorite and a single on many multi-race wagers. I’m definitely not eager to oppose him, and will include him on all my tickets, but I also don’t think he’s unbeatable. With Shining Copper entered to ensure a good pace, I think Twilight Eclipse has a huge chance to get on the board and possibly win. Last time out in the Joe Hirsch Turf Classic, he ran into traffic at a critical point in the race and lost a lot of ground and momentum, and I think it was more than enough to cost him victory. I think he’s the best of the U.S. runners, which also include the consistent and talented Joe Hirsch Turf Classic winner Big Blue Kitten and the versatile Arlington Million (gr. I) winner The Pizza Man. Also, note that Postponed has been withdrawn from the race after an unsatisfactory workout at Newmarket yesterday. In what could quite possibly be the greatest Breeders’ Cup Classic of all time, Triple Crown winner American Pharoah and the two-time Breeders’ Cup and Eclipse champion Beholder will square off in an epic battle that—assuming one or the other wins—will stamp the victor as a truly great horse for the ages. But they aren’t the only talented horses in the race, and the consistent Tonalist—coming off a romping win in the Jockey Club Gold Cup (gr. I)—could make his presence felt if the pace gets hot, and Smooth Roller looks like he could be something special as well after scoring a dominating win in the Awesome Again Stakes (gr. I). Add in the talented European miler Gleneagles, the late-running Whitney Stakes (gr. I) winner Honor Code, the consistent and improving Frosted, and Travers (gr. I) winner Keen Ice, and you have yourself a race that will be a thrilling conclusion to one of the most memorable Breeders’ Cups in recent memory. With the Breeders' Cup rapidly approaching, many of the top contenders are turning in their final pre-race workouts at Keeneland. Keep track of all the workout videos by visiting the Breeders' Cup Workouts Replay Center on The Turf Board!